For those not familiar with the LDS faith, this advice is probably a no brainer. However, somehow it is a part of the LDS culture that girls must marry a return missionary (a young man who has faithfully served the 2 year LDS mission) or else they’re getting a second-rate guy. When I was attending Ricks College (now BYU-Idaho) I remember girls treating me much differently before my mission than after my mission. Girls who were serious about hunkering down and “getting hitched” didn’t want anything to do with me before the mission, but afterwards somehow every girl assumed since I was a return missionary that I was on the hunt to get married. Truth be told, I wasn’t ready (for another 8 years or so, but that’s a different story). Anyways, I’ve been out of the dating scene for awhile, but I thought it would be interesting to discuss thoughts on having to marry a return missionary. Is the church getting away from this? Also, where did this notion originate? I’m sure there are some of you well more versed in LDS history who can enlighten us! I look at it more as it’s the girl’s responsibility to encourage boys to serve, rather than a litmus test.. though I don’t think all girls look at it this way. The notion that one should marry a returned missionary became popular in the 1970s following a talk given by Spencer Kimball in a Regional Representatives seminar that was subsequently published in the October 1974 Ensign magazine. In it he affirmed that every young man should fill a mission and listed that accomplishment in tandem with a number of other things that young women were already being told made a man worthy of marriage (sabbath keeping, church attendance, temple worthy, etc.). There were pockets of that line of thinking in some families prior to that. For example, Richard G. Scott’s girlfriend’s comment that she planned to marry a returned missionary was a catalyst to his decision to serve in 1950 (Ensign, Jan 1985, p. 34). However, limits on the number of men who were allowed to serve due to draft rules during WWII and the Korean War and the draft during the Vietnam war made the notion of universally expected missionary service impossible prior to 1974. Various local leaders picked up on this and YW leaders began to talk about marrying a returned missionary. By 1980 articles (not written by General Authorities) in the Ensign often referred to a subject’s marrying a returned missionary as a deed worthy of praise. I first noticed a movement in the church away from the notion of having to marry a returned missionary in 2003. After Russell Ballard’s October 2002 talk about raising the bar our stake president, realizing that some of the good young men in our stake would not be physically able to serve a full-time mission, spoke at a stake YMYW fireside in which he pointed out that there were a number of other things that a young woman should look for and counseled them not to make returned-missionary status the litmus test for marriage. One could avoid this problem by avoiding church colleges. Seriously, I think Elder Wickman is on to something. If you need a surgeon, wouldn’t your first priority be to find the best surgeon available? If you need a lawyer, wouldn’t you want the best? Just because someone has had their Mormon ticket punched at the appropriate places along the way, doesn’t mean that he or she is the best. I think the “returned missionaries who are actually creeps” have more to do with statements like these that anything else. On the whole, men who have served missions do represent a higher quality dating POOL for an active LDS young woman, but that quality is only a collective average. Forget “going bad” after one’s mission — any RM can tell you that some of the guys were highly suspect even while they were wearing the tag. And we all know men who did not or could not serve missions but who take their marriage and priesthood covenants very seriously and make fine husbands. Statements like these seem more directed at young women who got burned because they assumed that if a young man was mission-worthy at age 19, he’d always be that way. But I don’t necessarily see the church distancing its rhetoric about the need for each young man to become mission worthy. I HAVE heard more than one talk say something about the need to stay worthy post-mission. Whatever the reason, I’m glad to hear this. I know too many young women who automatically assumed that a returned missionary was spiritually superior to those who didn’t go. It wasn’t until I served a mission myself that I realized how untrue this was. Simply serving a mission doesn’t guarantee ANYTHING about one’s spirituality, maturity, or suitability for marriage. I think it all depends on your perspective. 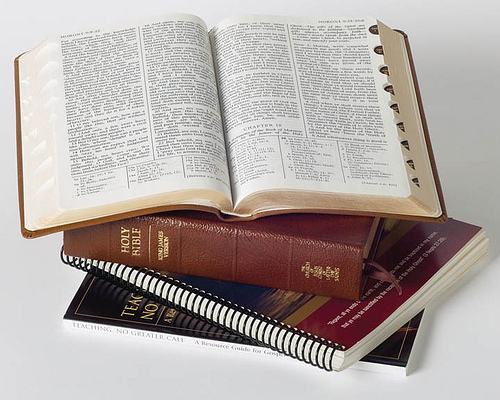 For an LDS young adult the mission is not just a good thing, but essential. “The Lord wants every young man to serve a full-time mission. Currently, only a fifth of the eligible young men in the Church are serving full-time missions. This is not pleasing to the Lord. We can do better. We must do better,” (President Ezra Taft Benson, “To the ‘Youth of the Noble Birthright’,” Ensign, May 1986, 43). This commandment is only excused by the unworthiness of the individual or his inability to serve effectively. LDS young women have been taught and should continue to be taught that a young man who is fully capable of serving a mission needs to do so before being persued for marriage. Two years of selfless service changes lives and uplifts men to a higher plane thus better enabling them to become good husbands and fathers. While it is true that in some cases a young man who cannot serve a mission will still make a good marriage partner, the majority of our male youth need the experience for the good the church and themselves. I’m sure that was close to the mentality of the women in your college when they looked towards you after your mission differently before. They knew you could serve a mission and therefore should and didn’t want to stop you or entangle themselves in a situation that could jeopardize their faith and yours. I will encourage my daughter similarly as she grows because whether or not she marries a returned missionary she should marry someone dedicated to being the best he can be. Time to play grammar cop. It’s “returned missionary” not “return missionary”. “RETURNED” is used as an adjective, in the form of the past tense of the verb “to return.” It’s a missionary who has RETURNED. No matter how often people in Utah have mispronounced “returned” by dropping off the last syllable, or whether they’re copying someone else’s mistake, if you’re talking about a missionary who has RETURNED from his mission, then he is a “RETURNED missionary,” not a “return” missionary. You’re funny. Thanks for the lesson. I’ve corrected my mistake. I broke off my relationship with a non member and dated a “Returned missionary”. He was arrogant and constantly belittled me and made me feel like I was not good enough for him. I finally broke it off after a year and half of dating when I became sure that I could never spend my life with him little eternity. I started dating the same person I had originally been dating who was and still is an amzing person who treated me like a princess. He converted to the gospel and we were married in the temple and have been together for over twenty years. I don’t encourage dating non members but I think that you need to use wisdom and especially prayer (lots of prayer) when making these decisions. Having said this I want to make it clear that there are wonderful returned missionaries out there. I served a mission and it was one of the best experiences of my life. I strongly encourage all who are able to do so. I just wanted to express that only you and the Lord know who your eternal companion is and if you are prayerful the Lord will let you know who that is, returned missionary or not! My wife didn’t marry a returned missionary and she has done just fine. About time. I distinctly remember how much more attention I received from LDS girls would treat me when I decided to go on a mission at the age of 24. I had a bishop who was concerned about my use of antidepressants and encouraged me to pray more about it. Much to my disappointment, the answer was “no.” The female attention washed up after that. Not only that, but I felt every girl I went on a date with expected me to explain my decision. Just one of many things I think Spencer W. Kimball said as a matter of opinion rather than revelation.
. . . don’t mind me . . . I’m just here to change my email address for GraceforGrace . . . There were only a few, a very few missionaries I got to know on my mission who would be good for my daughter to marry. Most were rude, arrogant and very power hungry. I don’t know why they were out there in the first place except for the credentials. On our mission, hundreds of vietnamese were baptized directly off the ship, because they didn’t know what was going on (the missionaries couldn’t speak Vietnamese, and the Vietnamese could not speak english); enough baptisms to build a ward that nobody attended, but the missionaries got their numbers. I was harassed because I would not baptize for numbers, I wanted to teach people, and baptize them when they were ready. I could only see these other missionaries going home and talking girls into getting married; all that love stuff would have to wait. No girls, do not marry a guy who’s a returned missionary. You’ll get a RM alright, but the man of your dreams? Think again. The mormon church is about the same as other churches when it comes to divorces. Just marry an RM because you were told to and you’ll find yourself looking for a divorce lawyer soon thereafter. Instead, marry a friend. Hundreds of couples (outside the church) use that as a reason to waltz down the isle and live long lives of wedded bliss. If that friend is also an RM, you are fortunate. But putting the RM first? You’ll likely get a religion salesman who has no tolerance for your weaknesses, and you’ll soon tire of his controlling attitude. I see a lot of couples at church that seem to tolerate each other — that’s easy to do; but to have a marriage where you enjoy being around each other? That could take a lifetime of work, or the right choice up front. Thanks for your feedback. I experienced personally on my mission what you described as well. Truth be told, I was the sales guy for the first 1 1/2 years of my mission. The last six months something occured where I saw the light and was able to pursue relationships with people and see them as God sees them rather than as a potential convert. That’s the bottom line, which you allude to. See people as God sees them whether dating, as friends, or just casually. Do this and all things work out for good. Hmmm…Donny Osmond didn’t serve a full-time mission and I don’ t think his wife has any complaints. However I do believe he was probably one of the greatest “missionaries” around and did much to spread the gospel by his example. It’s not always about the white shirt and bicycle. An unsettling topic for me as my son did not complete his mission. He will have to explain to every LDS girl (who may be interested in him) why he didn’t see it through. He’ll have to explain that to a prospective father-in-law. He’ll have to explain it to his children some day. For those missionary moms and dads that have experienced an early return, there’s little help to lean on. So, we decided to share our own experiences with the hope of helping others. If your missionary came home early, please share your insights at http://earlyreturn.weebly.com/. My son will surely meet a very special young lady who has the courage to look at his potential rather than his failures. Thank you for sharing that website and your thoughts. When my younger brother returned home early it was a big deal for my parents and also for him. Self esteem was low for awhile on his part and he wondered about his future for sure. Well, I’m very proud of him b/c he learned that the Lord doesn’t judge us for getting sent home early from a mission as long as we keep trying. He has done this and is getting married in the temple in 2 weeks. Not to be rude or insensitive, but it’s nobody else’s business why a missionary would come home early except for his bishop and his family. Some things are personal and private and should remain so. I like the post!! I know many of my friends didnt serve missions, but they ended up marrying great young ladies who took them to the temple and they were sealed and are happy today 🙂 I know the church almot sets a “requirement” on serving a mission, but I would hope that young LDS Women don’t use this as a requirement for their marriage resume. As a missionary, I met many young men who..lets face it…were on missions because a) their parents wanted them to, and b) because they knew they might have a hard time getting married without serving one. (I met a young elder who told me thats the reason he went out!) its quite sad, so I hope the church makes more of a push for “Marrying temple worthy young men” rather than marrying “returned missionaries” Because there are a lot of young men who didnt serve missions that are a heck of a lot worthier than some missionaries! This touches on the unsavory side of the LDS world. I admire the fact that so many young men serve on mission and wished we had such an emphasis in my own church however this speaks to the problem when serving on a mission has too many things not associated with sharing the Gospel associated with it. I believe we are all missionaries however to serve away from home should be a calling not something that’s just expected of you-that’s my thoughts anyway. Unsavory??? These are 19 year-old kids and you want perfection? You didn’t state your religious affiliation but it may behoove you to devote your energy there instead of casting stones here.